The federal government’s fiscal position continues to deteriorate, with new data showing a $22 billion deficit in the six months to December 2012. 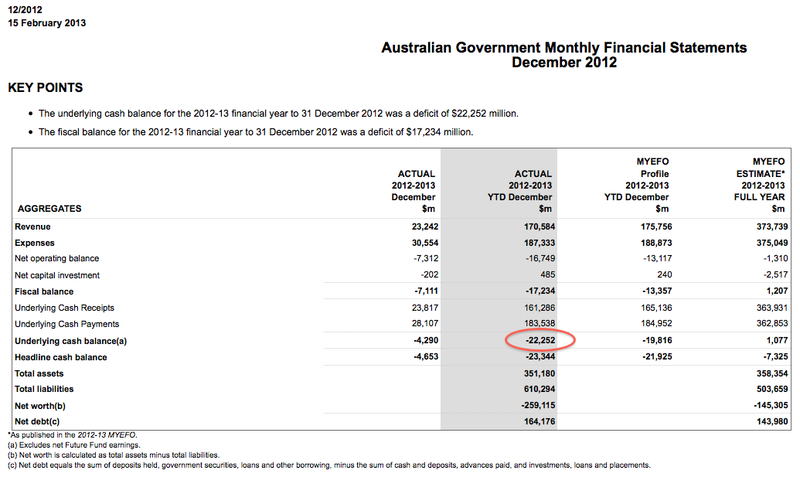 The government originally forecast a $1.077 billion surplus for 2012/13. Well done Wayne. That’s six on the trot. In other news, the government’s gross debt is now $260 billion … and they’re scheduled to borrow another $2.45 billion next week.